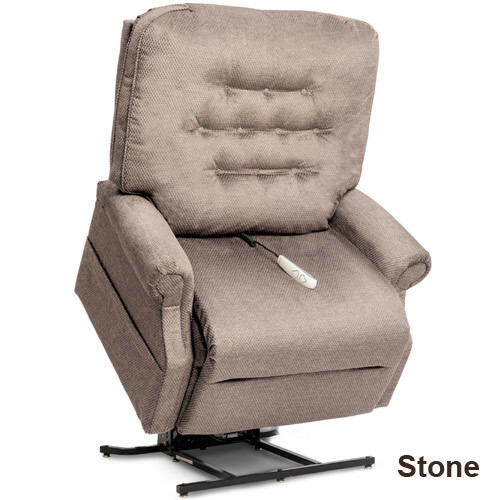 Heritage LC-358XXL Lift Chair by Pride Mobility is the largest of the Heritage 358 series and also the largest lift chair from Pride Mobility. 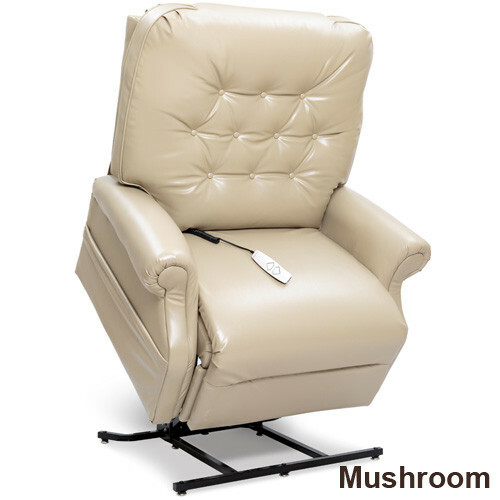 It features a comfortable spring and padding seat and button back that live up to its luxurious size. It is built with a weight capacity of 600 pounds and its powerful lift actuator is built with strength and reliability in mind. 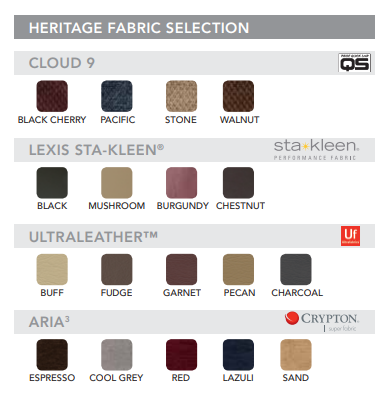 The lift chair is comfortable and stylish and comes in four different fabric options to suit your taste. 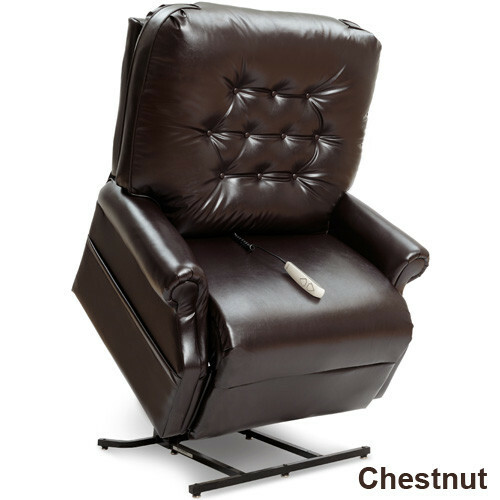 The Heritage LC-358XXL Lift Chair is built with a durable furniture grade hardwood laminate. The laminate is sturdy and resists cracking and warping that sometimes occur in solid woods. 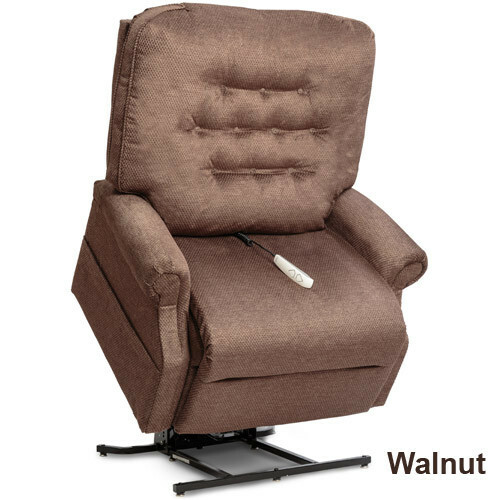 The chair operates via a convenient remote control which can be stored in the large storage pockets along with books, reading glasses, or remotes for TV's and other devices. The chair comes optionally with a comfortable headrest pillow and/or a lumbar pillow. Vitality Medical also carries other items that would pair well with the Heritage LC-358XXL Lift Chair, such as the Soft Grip Derby Cane.